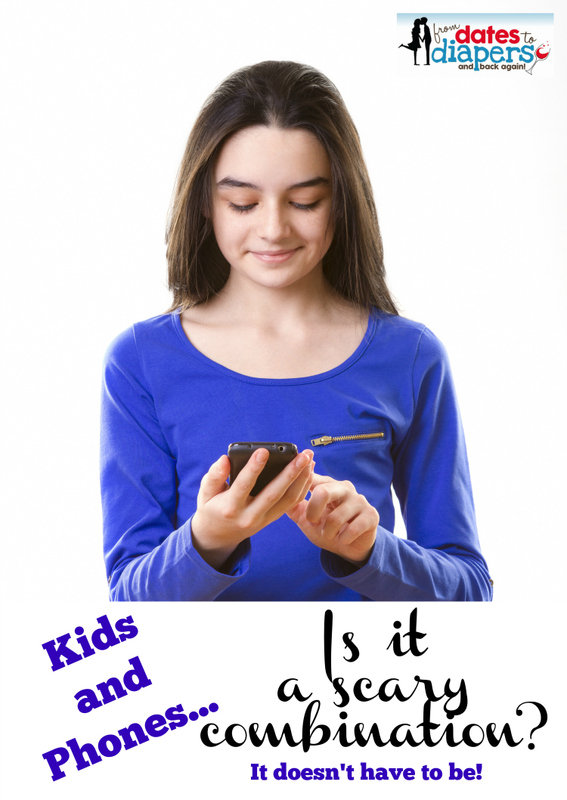 Kids With Phones: Is it A Scary Combination? I recently read an article about how parents are completely naive to how their kids are using social media and social apps on their phones. I later saw the article on my sister in law’s Facebook page, with commentary about how scared she was to ever allow her kids to have phones. I saw the same article in my stream again today with similar sentiments. There is much discussion in parenting circles about when it is appropriate to allow your children to have a phone. Some parents allow children as young as 8-years old to have their own phone, while others wait until middle school or high school. We will be gifting Josh a phone for his 12th birthday in April, at which point four of our seven children will have cell phones. While it certainly makes it easy during soccer season and when our teenagers are at home alone, it’s not always been easy having children with phones. I won’t pretend that we haven’t had more than our share of negative experiences with our kids and their phones. We have, however, found some great ways to safe guard our kids and we no longer stress so much over our children having phones. But it isn’t always easy. It takes a lot of vigilance on our part. Here’s the thing, parents – If your kids are using tablets and computers, they will have the same access to most of the social networks that they can download on their phones. You have a plan in place to monitor what your child does on these devices, right? Create the same plan and rules for their phones. Perform random checks on your kids’ phones. If your kids do not yet have phones, begin with their tablets and laptops, so as to establish an expectation. Giving them no chance to delete texts, history, photos, apps, etc, I will ask any one of our older children to unlock their phones, and they hand it over. I ask them if they have anything they would like to tell me or discuss, so as to avoid any uncomfortable conversations should I discover something unsavory. I will then spend some time browsing through the history on the web, in their apps, and even scan through their texts and photos. We will have a discussion regarding anything I may have found, or I will praise them for a “clean” phone. The phone is then returned. Create a Device Charging Corner. Establish a rule that dictates that phones must be collected for certain periods of time during the day and each night for safe keeping. Just as you would not allow a tablet or laptop to come to the dinner table, or go to bed with your child, do not allow the phone at the table or in their rooms at night. Allow some freedom. We do have software on our children’s phones that monitor the sites they visit, who they text and call, which apps they download, and more. We are alerted if they visit any sites we have flagged, or send or receive texts from certain people. However, they are not aware of this constant monitoring. While we do not block any sites or apps completely, we have made the call as their parents to give our kids the opportunity to make the right decisions. We often discuss our decisions, whether good or bad, with all of our children, so even in this context it is quite natural. Discuss trends in social media. Being that I work in social media, I am often aware of networks, sites, and apps before my children are. HOWEVER, I often have conversations with my children about what is popular, where their friends hang out online, their favorite app and networks, and what is being discussed online. Following or friending your kids just isn’t enough anymore, but it is certainly not a bad idea. And, please be sure you talk to your kids about the dangers and signs of cyberbullying. Don’t let the idea of your kids having phones scare you. I think the key here is building a relationship with your kids in every area of life. With devices – whether it’s a tablet, laptop, or cell phone – creating boundaries and establishing rules is super important.